"We had a great night in room 10. We'll be staying again and asking for that room. Was a real treat. 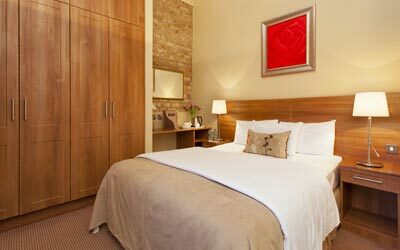 "Very happy with my stay.. and I will be back"
"Amazing room beautiful and well furnished. Highly recommended and enjoyed stay very much!" Becketts offers an ideal haven for residential guests with 10 exclusive contemporary designed rooms in an idyllic setting and a stylish and light filled restaurant to enhance your dining experience with us. 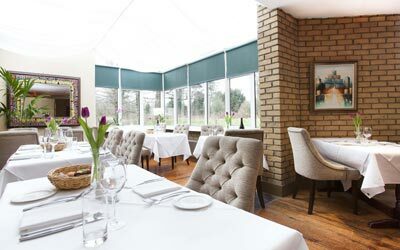 We have created a spacious, stylish and light filled restaurant to enhance your dining experience with us. 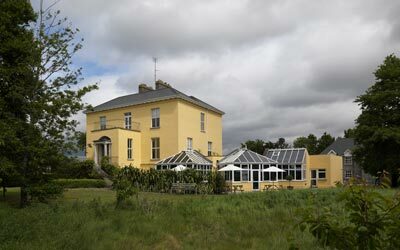 Samuel Beckett, one of Ireland's most enigmatic and world famous writers, is part of the rich and varied heritage of Cooldrinagh House and Demesne. Beckett's mother May was born here on March 1st 1871. It is clear that she held its memory in deep affection. "Cooldrinagh" means 'the quiet place of the black thorn'. This was the name given to her new home built by her husband William on the corner of Kerrymount Avenue, Foxrock in 1903. Cooldrinagh House, was described by James Knowlson, Beckett's biographer, as "a very grand house, almost a mansion, dating from 1760, with imposing pillars at the front door, a flight of stone steps and a cast iron balustrade...".Beckett was born in Foxrock, Dublin on Good Friday 1906 and died in Paris on December 22, 1989. "...Nothing to be seen but the wheat turning yellow and the blue sky vowing every now and then you loved each other..." - That Time (1975)Twenty years ago, Cooldrinagh House lay derelict. Today it has been fully restored in what can only be described as a highly unusual, contemporary and atmospheric way. 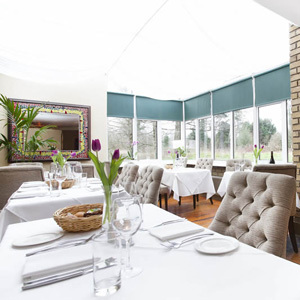 Situated on the outskirts of Leixlip, we are a minute's drive off the M4 Motorway. Take the exit 5 for Leixlip turn right at the top of the off-ramp if coming from dublin - Left if Coming from Maynooth direction (signposted for Leixlip). Go over the motorway bridge and turn left at the roundabout. Continue on this road for a quarter of a mile, and turn left into Cooldrinagh.